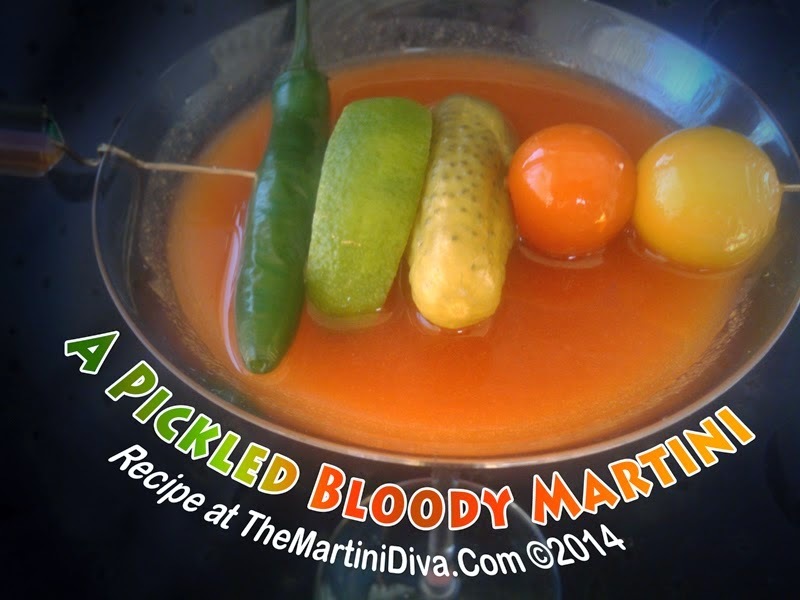 The MARTINI DIVA: A Bloody Lot of BLOODY MARYS! A Bloody Lot of BLOODY MARYS! 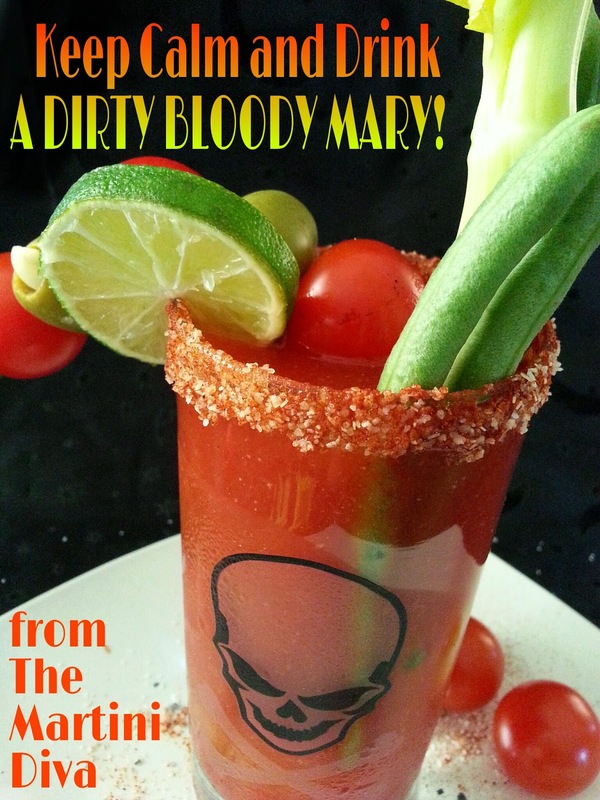 Well, whaddya know, January 1st - New Year's Day - is also National Bloody Mary Day. 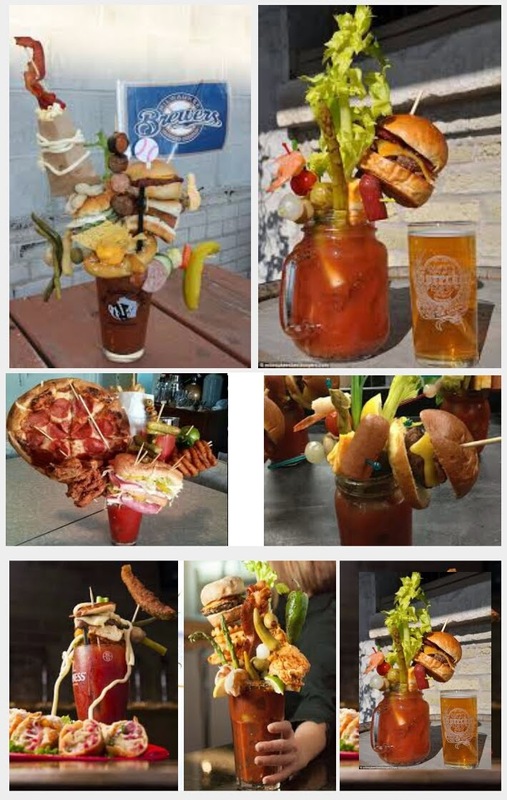 Convenient since more Bloodies are probably consumed today than any other day of the year. Maybe because it's also National Hangover Day. 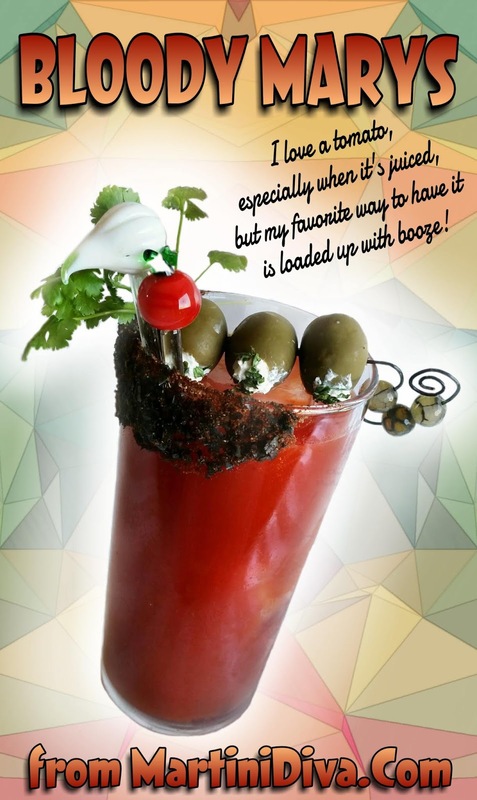 What makes up a Bloody Mary? The I.B.A. (International Bartenders Association) recipe calls for 3 parts vodka, 6 parts tomato juice and 1 part lemon juice served over ice. Traditionally the standard garnish is a celery stalk and a slice of lime with typical flavor additions of Worcestershire Sauce, celery salt, Tabasco Sauce, salt and pepper. Raw eggs have been known to be involved as well. That's how it all started, BUT in today's world of Bloodies the tradition has been toyed with, big time. You're going to need to sit down for this. There are: Canadian Bloodies also known as Bloody Caesars (Clamato for the tomato juice) Japanese Bloodies aka Bloody Geishas (sake instead of vodka) Bloody Marias (tequila instead of vodka) Beer Bloodies (Micheladas and Red Eyes) Bloody Bulls (a Bullshot* with half the bouillon replaced with tomato juice) Bloody Eights (V-8 instead of tomato juice) Bloody Fairies (absinthe instead of vodka) Red Snappers (gin instead of vodka) Brown Marys aka Bloody Scotsman (whisky instead of vodka) AND, me hearties, there is even a rum Bloody known as a Bloody Pirate! 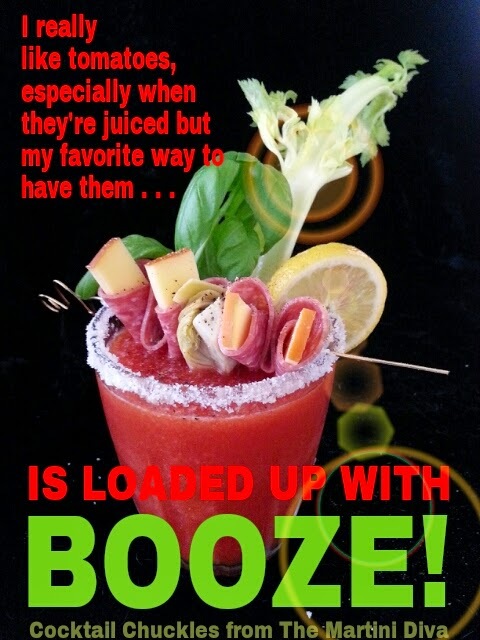 There is also a virgin (non-alcoholic) version called the Bloodless Mary, a Frozen Mary (blended with ice) and countless proprietary recipes! Whew! Are you still with me? Then hang tight and let's take a look see at how far our favorite hangover remedy has strayed from there . . . BLOOD & GUTS MARTINI BLOODY MARTINI CAPRESE MARTINI CHEESY DOODLETINI DIRTY BLOODY MARY DRACULA'S BLOODY MARTINI FIRE & BLOODY MARY GARDEN IN A GLASS GATES OF HELL GAZPACHO MARTINI GREAT CAESAR'S GHOST HEIRLOOM TOMATO MARTINI HOT MAMA MARTINI KITCHEN SINK MARTINI LOADED RED EYE (Beer Bloody Mary) PICKLED BLOODY MARY SAMCRO BLOODY BOILERMAKER (My Sons of Anarchy version of a Biker Bloody Maria) And, yes, even an EDIBLE BLOODY MARY. You've been very good with your history homework. Go have a Bloody. Thank You and Happy 2015!